Cara and Nathan – Engagement OK! Cara and Nathan are now engaged after meeting in the Love Island Villa in 2016. 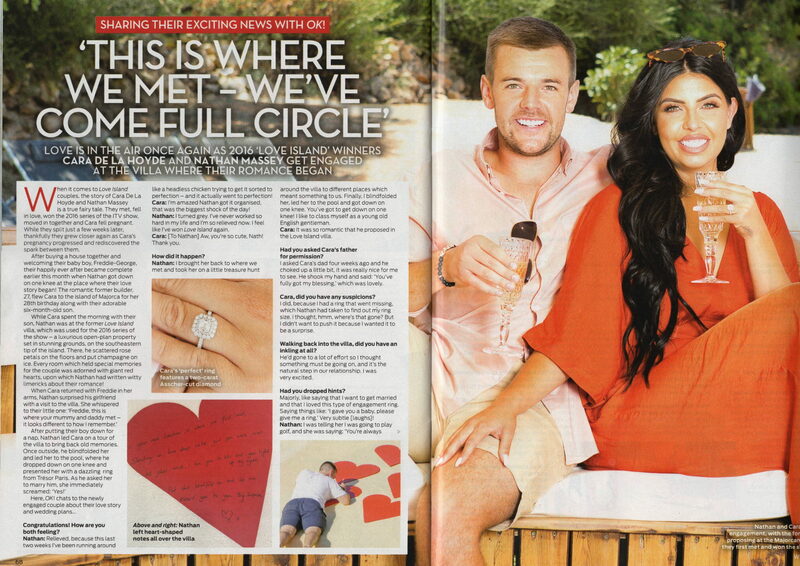 Nathan popped the question in the villa where they first met, in the exact location Cara stepped forward to show her interest in her now-fiancé.